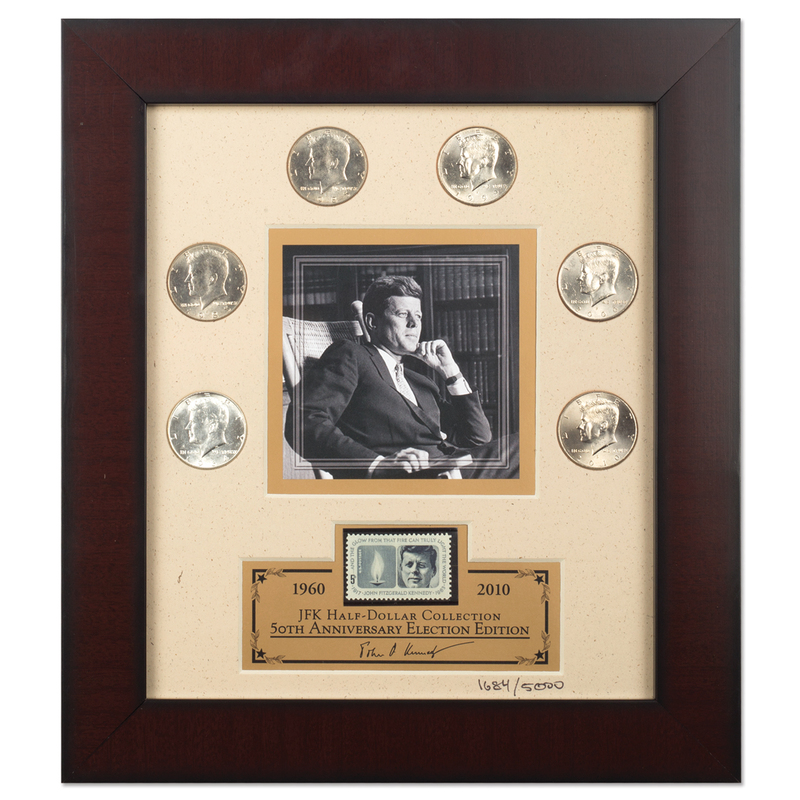 The Franklin Mint is proud to introduce the JFK Half-Dollar Collection, 50th Anniversary Election Edition, a spectacular tribute to one of the most iconic Presidents in U.S. history, JFK. This one-of-a-kind lithograph print includes six historic Kennedy Half-dollars struck from 1964 to 2010. 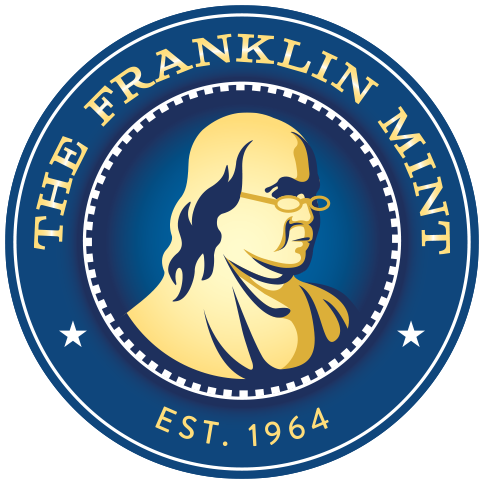 Representing key national events, this selection includes six coins commemorating the most significant years in U.S. history beginning with 1964, the first year of mintage, and the only year it was minted in 90% silver! This breathtaking collection also contains the 1964 memorial postal stamp, featuring the Eternal Flame from Kennedy's gravesite in Arlington National Cemetery. Each Limited Edition collection, beaming with American pride, is hand-numbered — Only 5,000 JFK Half-Dollars available worldwide!